﻿ Cleanroom Ceiling SystemsClean Rooms West, Inc. Manufactured by Clean Rooms West, the Power-T™ Ceiling Grid is the strongest ceiling grid approved for ISO Class 3 to ISO Class 8 cleanroom construction. Manufactured by Clean Rooms West, this Heavy duty 3/8″ rod-suspension clean room ceiling grid system is utilized in semiconductor, pharmaceutical, medical device, biotechnology, laboratory & MEMS applications. PRELUDE XL 15/16″ Exposed Tee System is durable, provides system stability and easy installation. 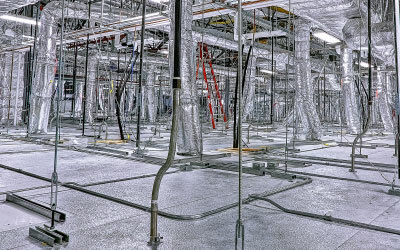 A cleanroom ceiling must be able to hold a variety of systems including lighting and filtration. All of these systems require ongoing inspection and maintenance. 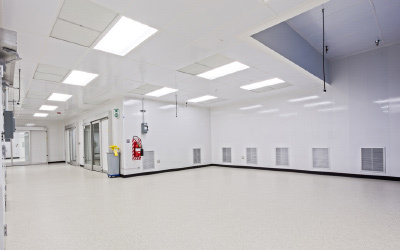 Walkable ceilings provides an efficient solution for easy access to the various cleanroom systems.